Airborne was one of the first GI Joes, along with Scrap Iron, that made me realize Hasbro was reusing parts to create multiple characters. The kneepads and boots were a dead giveaway. The backpack was another suspiciously familiar accessory. Was he borrowing it from Duke, or vice versa? Much of the success of a minifigure based on existing material, especially another action figure scale or style, lies in the more generic parts’ ability to stand in for something more specialized. 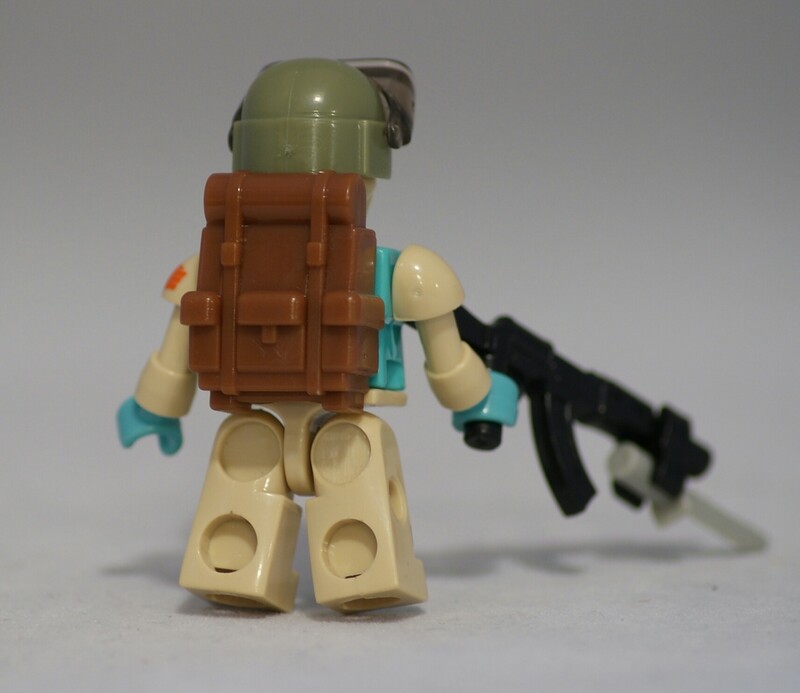 In Airborne’s case, it’s the helmet, rifle and backpack. Each is not an exact match for what you may remember from the original, but your eye gets the basic idea. I think this is one of the more inventive aspects of minifigure and brick vehicle build designs. Oftentimes, we don’t get an exact match for the predecessor, but the whole ends up being more effective than the sum of its parts. 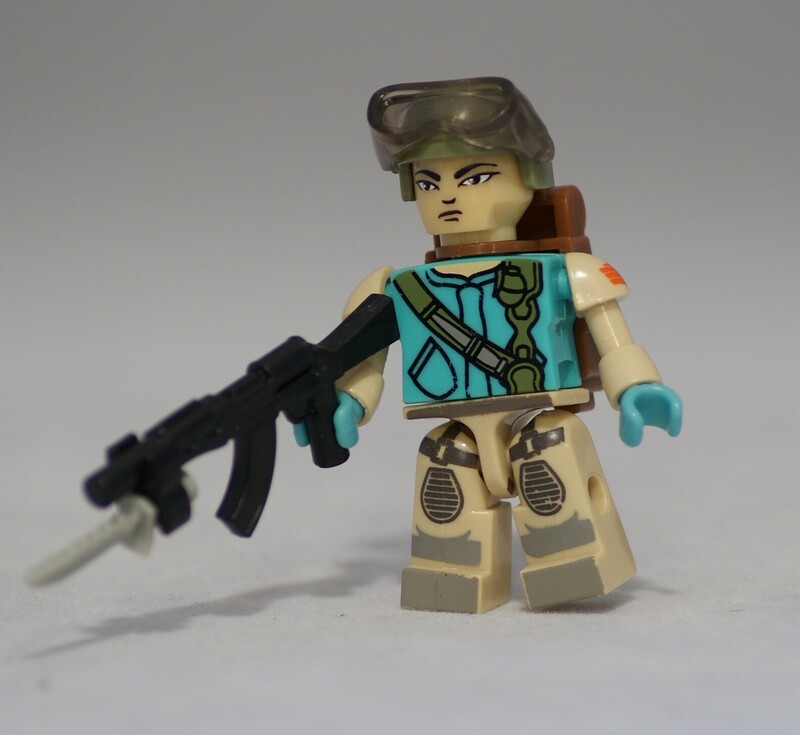 Airborne’s unique facial features (his eyes) are also an interesting aspect of this Kreon. The designers could have stuck with the generic eye pattern seen on many other figures, but they chose to attempt to create a different look that conveys his background. At first, I thought the print was the same used for Budo from the same assortment, but Franklin’s facial features are different; a nice detail that adds personality to the figure.